Prehistoric people may have cooked wild grains and plants in pots as early as 10,000 years ago, according to new evidence. Scientists say the food was “a kind of porridge”, acting as the staple diet when there was no meat from hunting. 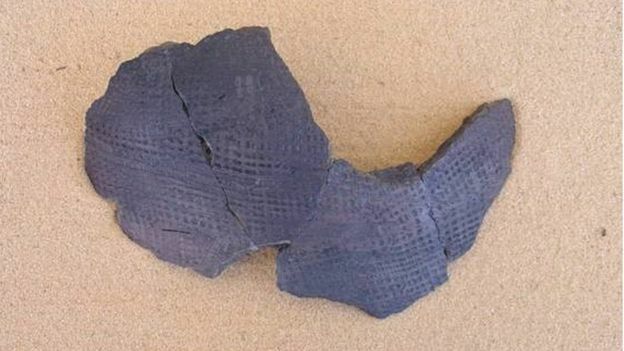 The pottery fragments were found at two sites in the Libyan Sahara, which was then green and fertile. The ability to prepare plants and grains in pots would have been a big advance at the time. The Sahara was then a green savannah dotted with lakes and rivers. It was populated by herds of large animals, including hippos and elephants. The people living there would have gathered wild grains from grasses, leafy plants and aquatic plants. “The invention of thermally resistant pottery, which allowed plants to be boiled for prolonged periods, considerably broadens the range of plants prehistoric people could eat, including previously unpalatable or even toxic plants,” Dr Dunne added. Stones used for grinding have also been found near the fragmented pottery, suggesting grains were pounded into flour. “Or they may have just boiled the grains for prolonged periods and made a kind of porridge,” Dr Dunne said. Pots were invented twice in human history – in East Asia about 16,000 years ago, then in North Africa some 12,000 years ago. The researchers studied more than 100 broken pieces of ceramic material from archaeological sites at Takarkori and Uan Afuda in the Libyan Sahara. They found that the pots were used to process a wide variety of vegetation. The researchers discovered this by analysing the carbon isotope ratios of oily residues preserved in the pottery. The pots predate plant domestication and agriculture in the area by at least 4,000 years. 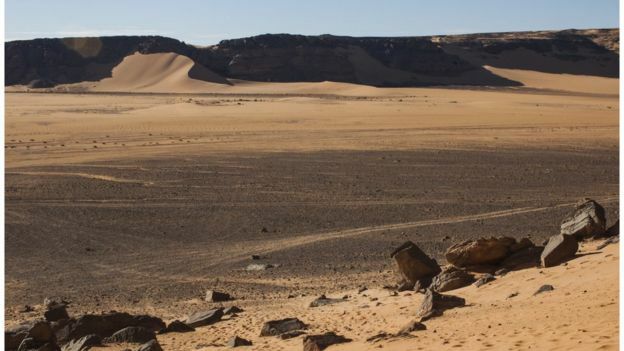 “The finding of extensive plant wax and oil residues in early prehistoric pottery provides us with an entirely different picture of the way early pottery was used in the Sahara compared to other regions in the ancient world,” said co-researcher Prof Richard Evershed, also from the school of chemistry at the University of Bristol. The pots were later used to process animal products including milk. Early humans had been eating plants for as long as three million years. At first, ancient people would have dined on fruits and berries which are soft and easy to digest. 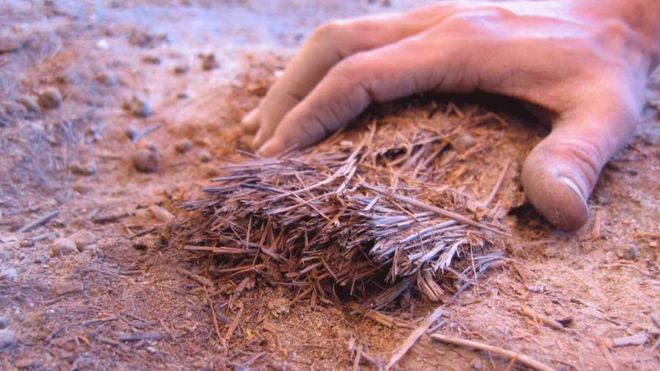 Later, woody parts of plants may have been charred on fires, perhaps in open pits, to make them more edible. The invention of pottery made it possible to cook plants by boiling, making them much more palatable and less toxic. This would have been hugely significant in human history. Starchy foods are a good source of energy and nutrients. 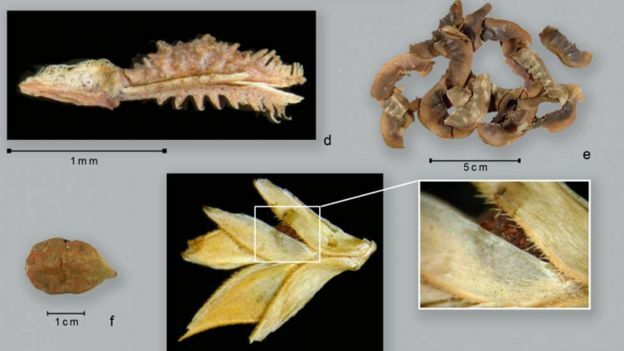 Cooked plants and grains could also have been preserved for future use. They would also have been soft enough to feed to babies, perhaps leading to earlier weaning of infants thus boosting the fertility of women. The research is published in the journal, Nature Plants.